For each cookie, cut eight 1 1/2-inch pieces of licorice for legs. Insert 4 pieces into each side of each cookie. With frosting, attach 2 miniature chocolate pieces to top of each cookie for eyes. 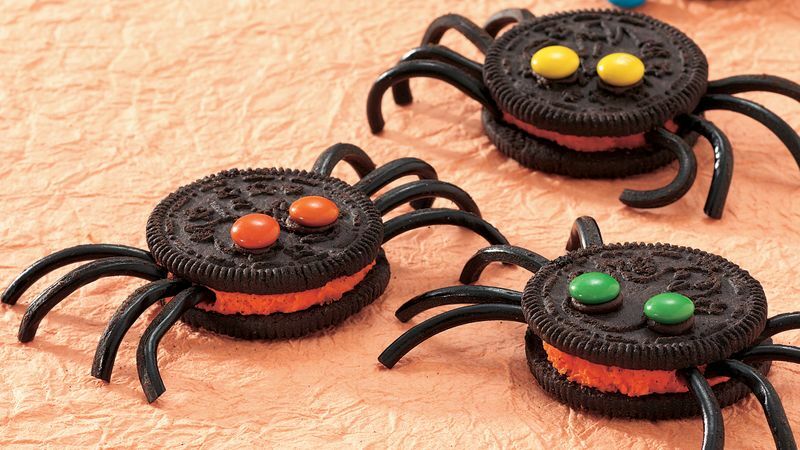 If desired, pipe a design with frosting on back of each spider cookie.